Welcome to GeneralAwnings.com, your online source for a home improvement that will save you money and make your home or business more attractive. Awnings are a simple and affordable way to create beautiful accents and lower the temperature inside your home or business, saving you money on cooling energy bills. A properly sized and positioned awning will reduce heat from the summer sun, but still let in warm sunrays during winter months when the sun is lower in the sky. 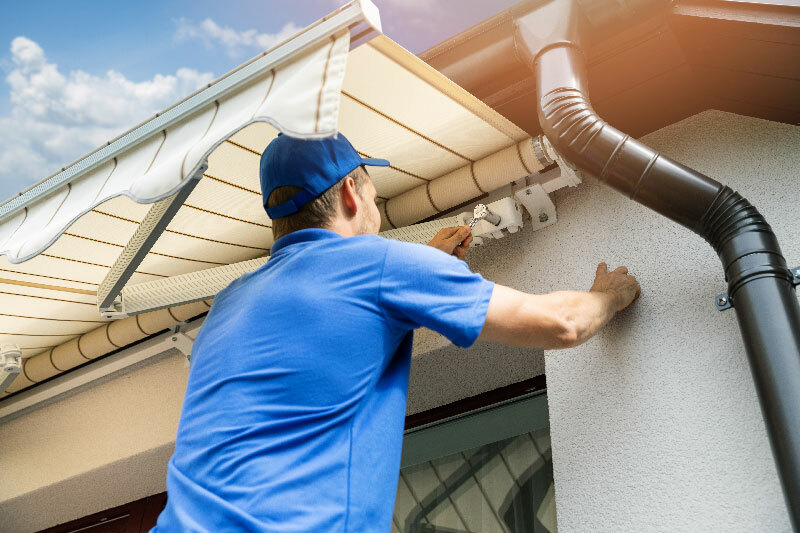 This type of home improvement has become increasingly popular in the United States and worldwide, as the necessity to conserve fuel and energy becomes more and more obvious. Our company was founded by a Colorado custom home builder with many years of successful experience. We saw that the time to think seriously about practical ways to reduce energy consumption had arrived. Under the right conditions, awnings have been shown to reduce heat buildup by nearly 77%, cut air conditioning use by up to 69%, and significantly lower energy bills. Awnings are one of the most efficient ways to reduce your consumption of energy, and when you add the improvement they make to the appearance of your home, the choice becomes clear. 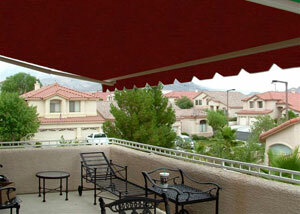 What can General Awnings do for you? We offer the best selection of awnings for residential and commercial customers, eliminating the need to spend time searching various sources for the right awning. We strive to keep our prices low and offer free ground shipping to the 48 contiguous United States. If you find a better price for a similar product, let us know and we will try to beat it. If you are able to install an awning using the instructions provided and are comfortable with safely using hand tools and working on a ladder, the most economical option would be to purchase the product from our website and install it yourself. Browse our website and explore a variety of decorating and energy-saving possibilities, from Old World-inspired awnings to modern styles. And we are constantly on the lookout for new products to add to our distinctive collection. A less expensive product will give you the best initial value, but keep in mind that fabric awnings will require fabric replacement in a few years, while aluminum awnings will last much longer, typically with no maintenance. Ordering online at GeneralAwnings.com is safe and easy. You can browse our collection 24 hours a day, 7 days a week, and use our fast and secure online shopping cart to complete your purchase. We look forward to continuing to provide you with outstanding value and excellent customer service! If you have any questions, please send us an email, or call toll-free at 1-888-768-8404.